NSA Ajit Doval is also scheduled to visit Beijing before the end of the year for the next round of talks between Special Representatives (SRs) of the two countries. India and China proposed to formally inaugurate the high-level forum for people-to-people exchanges to strengthen bilateral cultural and civilisational links as part of the ‘Wuhan consensus’ reached between Prime Minister Narendra Modi and Chinese President Xi Jinping during their informal summit in April. Wang Yi, Chinese State Councillor and Foreign Minister, is expected to visit India later this year for the first meeting of the dialogue mechanism with External Affairs Minister Sushma Swaraj. Diplomatic sources said China has proposed to India dates for Wang’s visit for the meeting with Swaraj. New Delhi’s response was awaited. The purpose of this dialogue mechanism, sources explained, was to encourage people-to-people exchanges and economic, cultural and media contacts to cement the relationship, particularly among the youth, so that the friendship was handed down from one generation to another. In this connection, they pointed out how ‘Bollywood’ films and songs were becoming a craze in China. “The Governments of India and China are very well aware that we need to boost people-to-people exchanges between our countries. Therefore, we are also focusing on ways to enhance tourism between India and China so that greater numbers of our people travel to the other country,” they added. Sources said the two countries would also consider ways to step up security and counter-terror cooperation when Chinese Minister for Public security Zhao Kezhi visits India in October at the invitation of Home Minister Rajnath Singh. Meanwhile, National Security Advisor (NSA) Ajit Doval is also scheduled to visit Beijing before the end of the year for the next round of talks between Special Representatives (SRs) of the two countries on the boundary dispute. 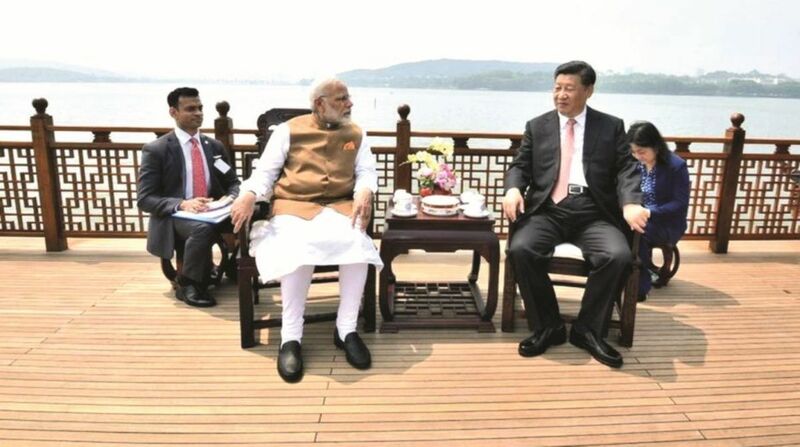 Modi, who has already met Xi thrice this year in Wuhan, Qingdao (on the margins of the SCO Summit) and Johannesburg (on the margins of the BRICS Summit), will meet the Chinese President again in November on the fringes of the G-20 Summit. The two leaders have taken a number of initiates in recent months to ‘reset’ ties between their two nations following last summer’s Doklam military stand-off.